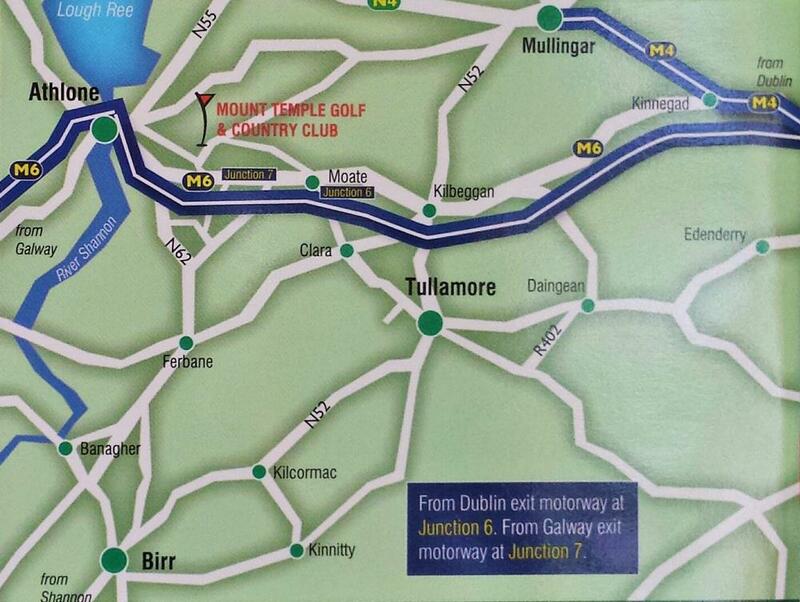 Mount Temple Golf Club is located in the quaint village of Mount Temple situated in 'Irelands Hidden Heartlands', 10 mins from Athlone. Take either junction 6 or 7 off the M6 motorway and we are approx. 6 mins from there. Location of Mount Temple Golf Club on Google Maps.